French Level 5 (30, 30-min. daily lessons + Reading Lessons) Mobile app with interactive learning and review tools teaches speaking, understanding, and reading. Modified version available for desktop. • 30-minute core lessons you can take anywhere, or do at home with Alexa®. • Synch progress across all your mobile devices. • Individual progress tracking for one main account holder and up to 3 additional household members. • Hands free mode makes it easy to learn anywhere. • Great review options including Skills categories, digital flash cards, Quick Match Quiz, and Speed Round. • Speak Easy conversation practice lets you role-play while reviewing your conversations’ written transcripts. With Premium Mobile, you learn fast as you roam free. 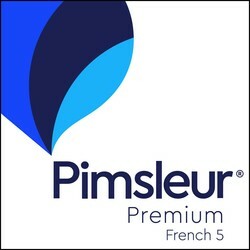 Still only 30 minutes a day, Pimsleur Premium is completely portable, and audio lessons are hands-free; you can do them in the car, at the gym, or while out for a walk. Lessons sync across devices, so while you’re free to ramble, the app keeps your language learning firmly on track. Every course is painstakingly crafted to highlight and explore the culture where your new language is spoken. Pimsleur Premium features high-res photos with light bulb captions that delight and inform, and covering everything from art and architecture, to festivals, history, vivid landscapes, and cultural curiosities. Builds upon skills taught in Levels 1, 2, 3, and 4. In Level 5, the pace and conversation moves quite rapidly, accelerating exposure to new vocabulary and structures, approaching native speed and comprehension. You’ll learn to speak more in-depth about your personal life and emotional state, and be able to create complex sentences using a mix of tenses and moods. • Personal life and emotions: empathy, regret, hope, trust and distrust, sharing, bullying and name-calling, growing older, recognizing and finding happiness. Reading lessons, presented as a short story, are included with this program. These lessons, which build upon the language skills acquired in Levels 1 through 4, are designed to give you practice reading, improve your pronunciation, and to provide new vocabulary. Before you know it, you’ll be reading with the ease and flexibility of a native speaker. Brush up, or dive deep — it’s all up to you. Reinforce what you’ve learned quickly and effectively with flash cards. Created to help you practice the most-essential vocabulary, the cards contain words and short phrases from the daily audio lessons. The Quick Match interactive phrase game will help you to challenge yourself with longer phrases and sentences in a fun and fast-paced way. All new Skills categories let you view or review by topic, using either a list or a quiz format. 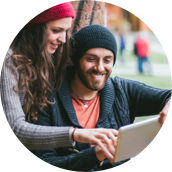 Experience language learning like never before. Pimsleur Premium: easy, engaging, and fun. Pimsleur Premium is designed for use by one registered user, plus up to three household members, and may be installed on up to four devices at once. Pimsleur Premium runs on mobile devices for Apple® iOS and most Android™ devices. A desktop version is available for Mac® or Windows® computers, however not all features are available for desktop. Audio lessons can be streamed on Amazon® Echo® devices using the Alexa® Pimsleur Skill.